Just when you think life is getting too weird and the funniest stuff has all been done: Paris Hilton is in Prison; 27 million dollar Creation museums open up; another Rambo movie is in production... you think all is lost and there can't possibly be anything else to laugh at, then WHAM... here's the Real Old Testament. These are brilliant. Honestly. Have I let you down yet with mediocre Youtubes? 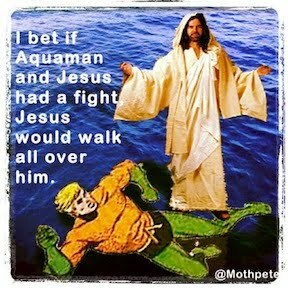 Okay, maybe just that once, but view and prepare to find God and the Old Testament funny one more time. I'm sure there'll be other opportunities (I think these videos are Christian friendly, although penises are mentioned and blurred out a little in a few scenes).